The lock screen on your Windows 10 PC is much more than a place that hides your desktop from prying eyes when you’re away. It can provide useful information to help you get working again more quickly and effectively. 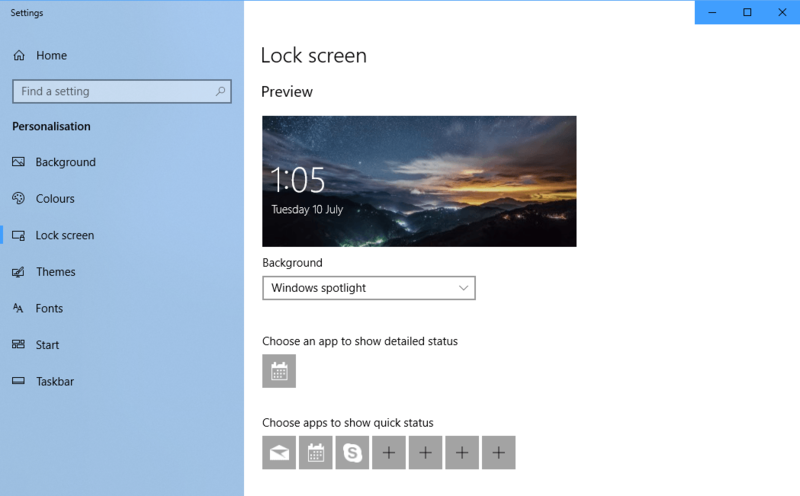 To achieve this, from the Start Menu open Settings and Personalisation, and then click the Lock screen link in the left panel. Here you can choose what image (if any) is displayed on the lock screen from the Windows spotlight service, to a static picture, or a slideshow of pictures. Below this option however are options to show the notification status of installed apps on your PC. You can display detailed information form one app (say weather or calendar) and a notification number for up to seven more apps. As always with privacy, don’t display anything on your lock screen that you’re not happy for a random passer-by in your workplace to see, but knowing as you sign in that there are 5 new messages in Microsoft Teams, or two new calendar appointments waiting for you can really help your work more efficiently.